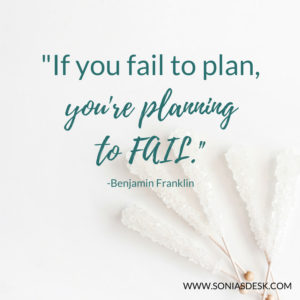 In this last blog post, I shared the most effective way I have found to plan a Monthly Content or Editorial Calendar in under one hour. 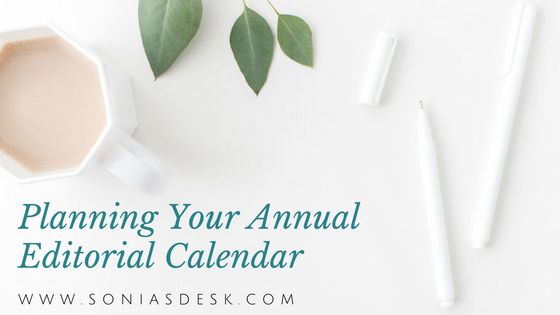 It becomes even easier when you’re planning your entire annual editorial calendar, or at least pick your themes for each month. When you have a list of your monthly themes, you can easily slot in content into its respective month. Your annual calendar can look something as simple as this, stored in a Google Doc, One Note, Evernote, word document or even your phone. When you’re scouring the internet, find good articles & tips, take some great photos, you can start adding them to your list in their respective month. So, when it comes time to work on that month, you already have some idea starters and sources you can reference. Make sure to check out this blog post on how to plan your monthly content calendar in under one hour. Happy Planning and cheers to a successful 2018! !